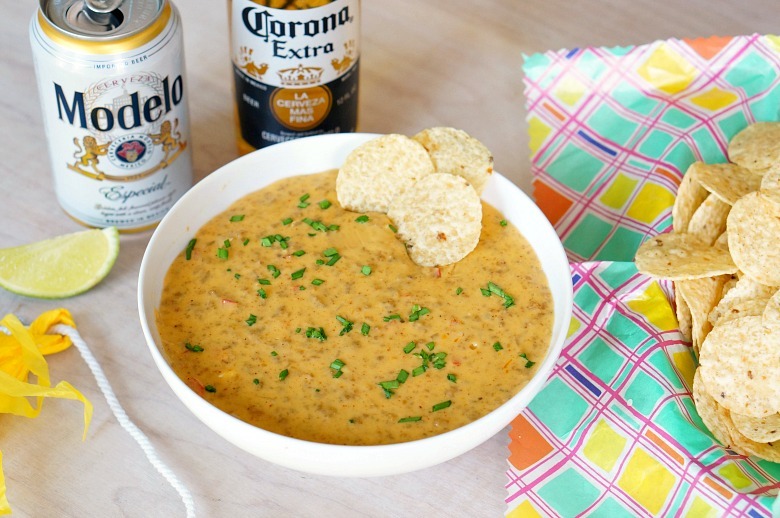 Spicy Beer Queso with Chorizo + Bonus Beer-Garita Recipe! 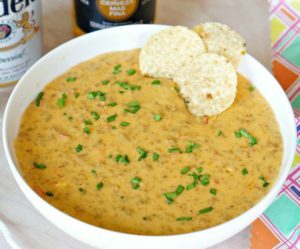 Whether it’s Cinco de Mayo or getting together with friends, celebrate with this Spicy Beer Queso recipe. With spicy chorizo, creamy cheese and Modelo Especial, this… THIS it the appetizer you’ll want to be serving all summer long! If you ask me, Cinco de Mayo is the most underrated of all holidays. 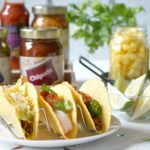 Chips and salsa? 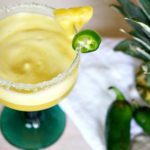 Margaritas? Mexican Cerveza? I’m in. In fact, if anything, we should celebrate Cinco de Mayo all summer long. We skip dining out on May 5th… the wait can be dreadful. Instead, we make our favorite Mexican foods, serve ice cold beers and invite friends to enjoy the fabulous May weather patio-side. That’s the good life. I like my Mexican food spicy. 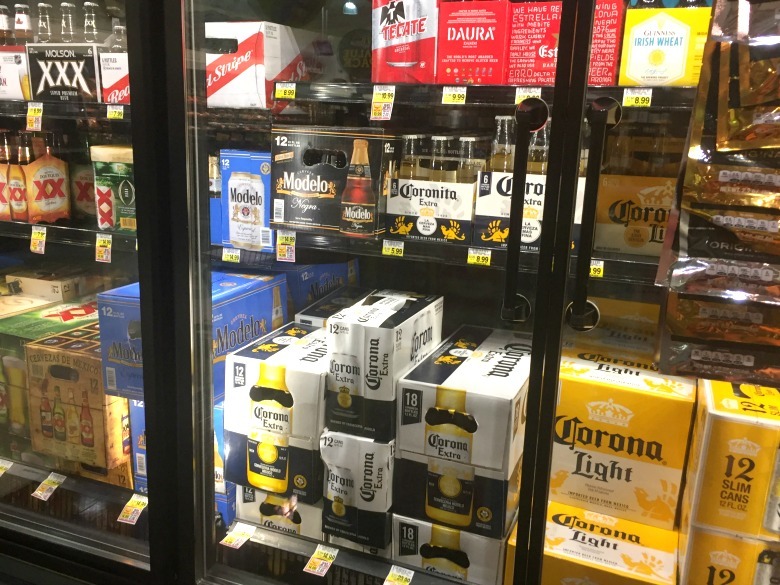 And, when my mouth is on fire, there is nothing better to cool it down a favorite beer… and if it’s Cinco de Mayo we’re celebrating, that beer better be Corona or Modelo. With limes, please. 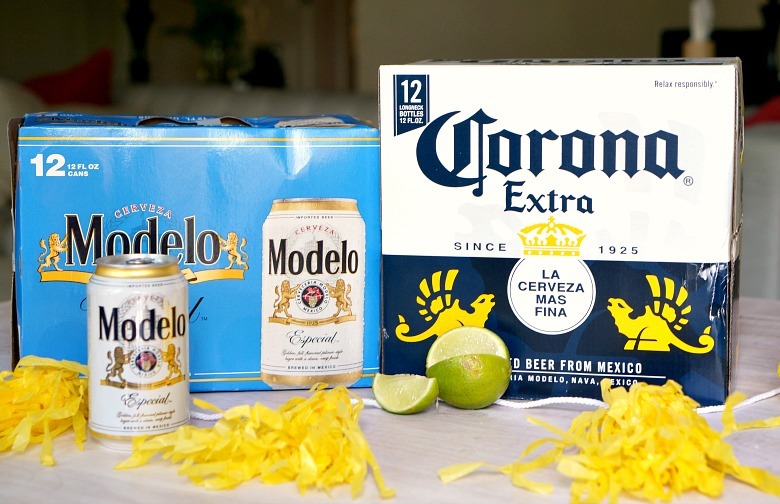 With a refreshing, smooth taste balanced between heavier European imports and lighter domestic beer, Corona is an even-keeled cerveza with fruity-honey aromas and a touch of malt. It’s for those that “Saber Vivir” (know how to live)! Sipping a Corona transports me to the quintessential beach moment – feet in the sand, Corona in my hand. And because I can’t be forced to choose between Corona or Modelo, I serve both. Modelo Especial is a beer born with the Fighting Spirit. It’s a model Pilsner-style Mexican lager with a clean, crisp taste. 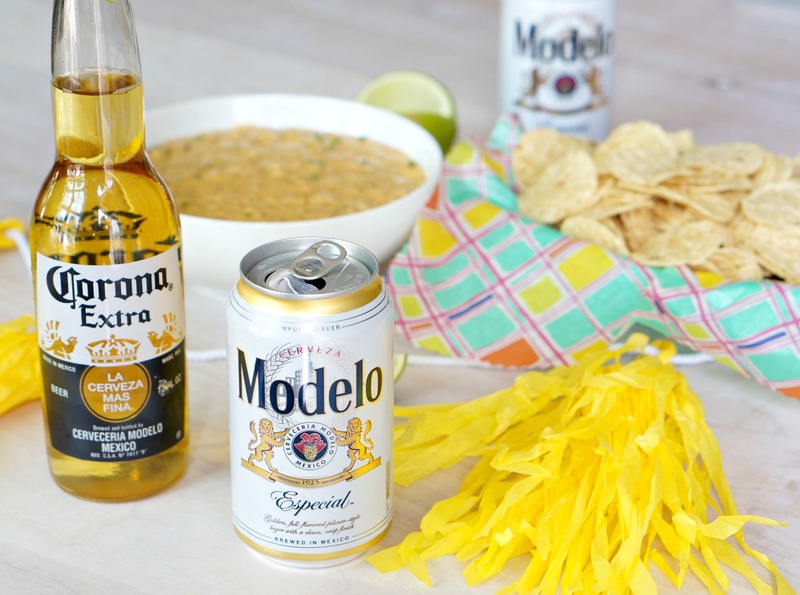 Just like with wine, I also believe in cooking with what you’re drinking, so when cooking our Mexican favorites, I’ll be using Corona and Modelo to add an additional layer of amazingness, like in this Spicy Beer Queso. With spicy chorizo, creamy cheese and Modelo Especial, this… THIS… it the appetizer you’ll want to be serving all summer long. 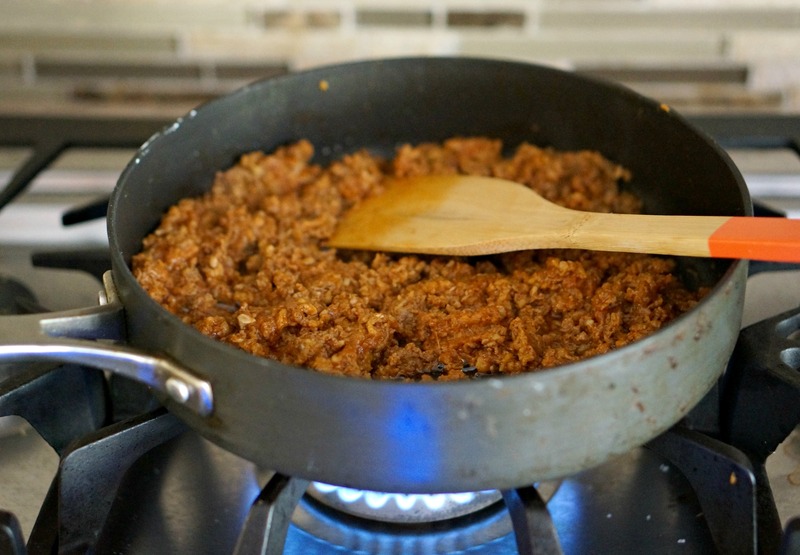 Brown the chorizo over medium high heat in a large skillet. Once cooked through, drain and set aside. 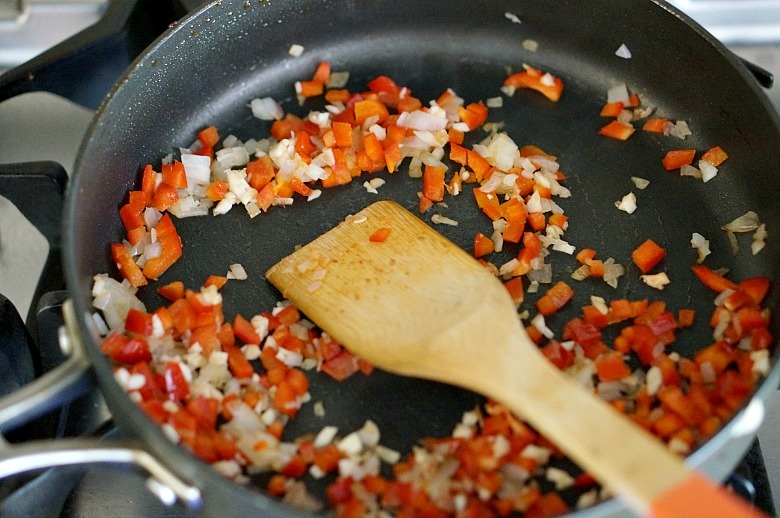 Wipe out the skillet with a paper towel, and drizzle in a touch of olive oil. Cook the pepper, shallot and garlic over medium heat ’til softened, about 4-5 minutes. 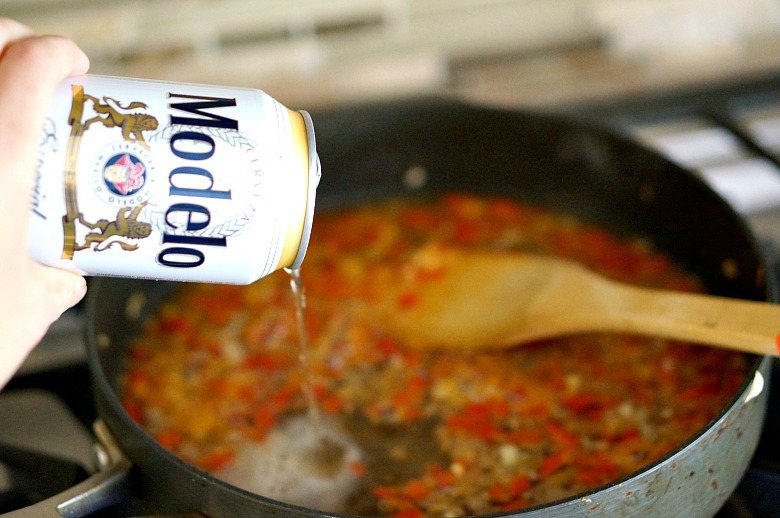 Pour one can of Modelo Especial into the pepper mixture. Bring to a simmer and cook for 6-8 minutes, until reduced slightly. Whisk cornstarch with 2 tablespoons of water and pour into the skillet. Cook until thickened slightly. Just keep stirring. At first it looks chunky, but it will smooth out! Add in the cream cheese and stir until smooth. Stir in the remaining cheeses. Cook until smooth. 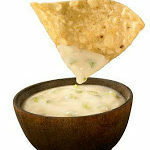 If too thick, open up another can of beer and add slowly to the queso to get your desired consistency. Keep warm and serve. This also reheats well in the microwave. 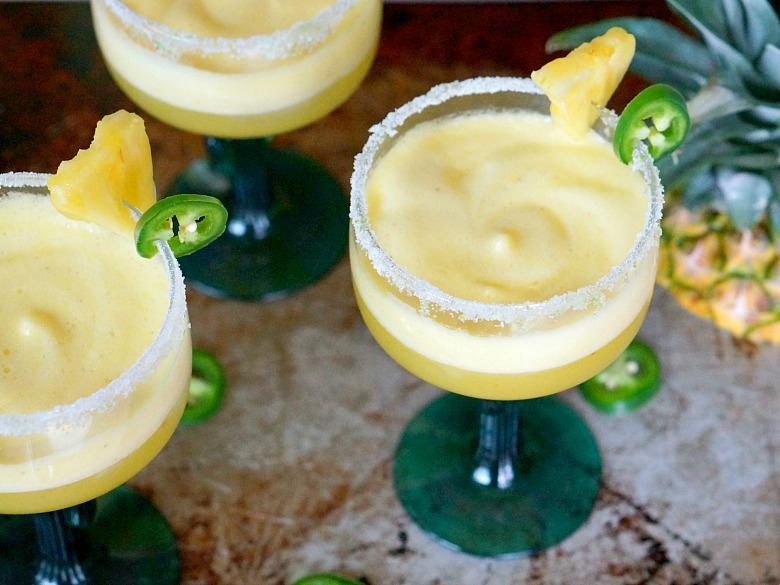 Did you catch our Spicy Pineapple Margarita recipe last week? These make great beer-garitas, too! 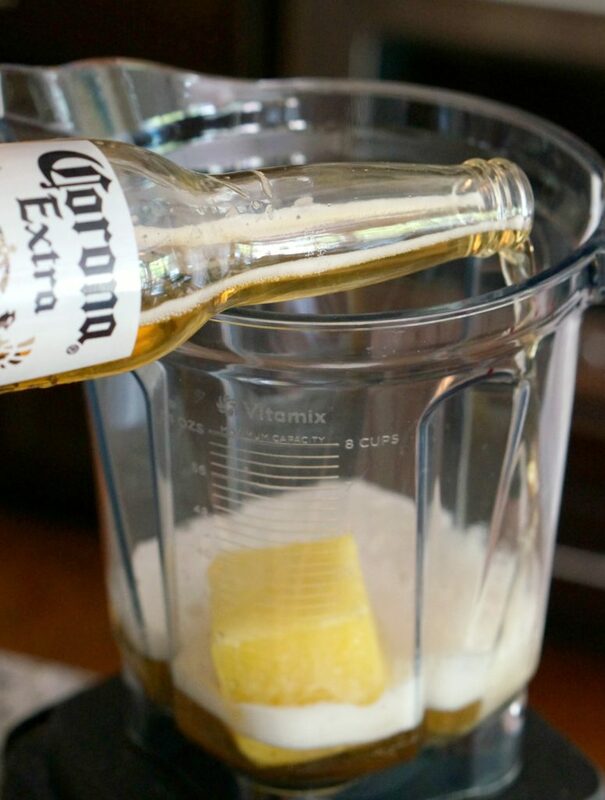 To make, freeze the pineapple margarita mixture into cubes. 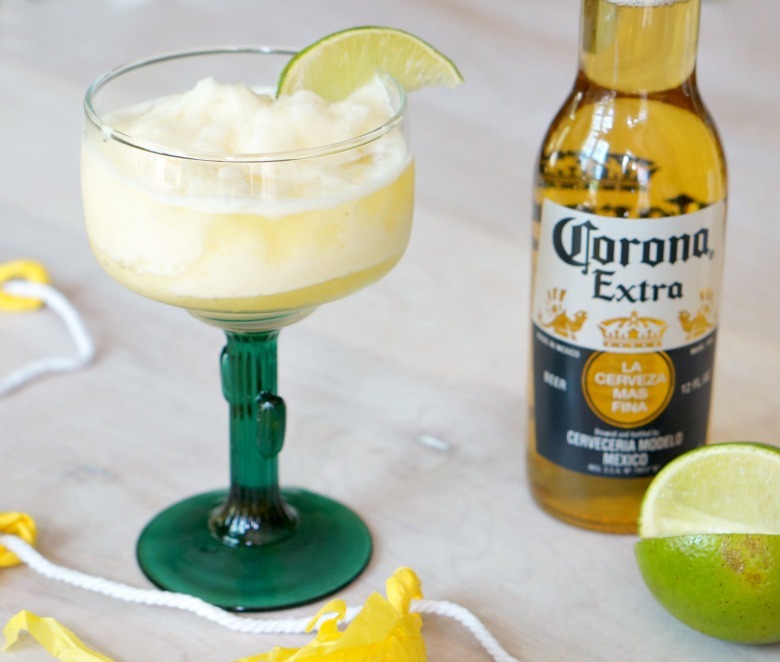 Add cubes of frozen margarita to a large blender with ice, along with a bottle of Corona or Modelo, and a splash of tequila! Blend until smooth and pour. What beers will you be serving up this summer? 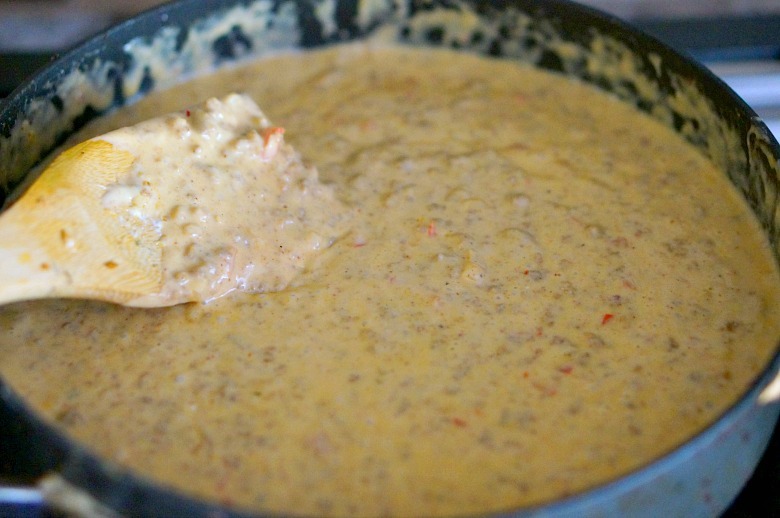 Whether it's Cinco de Mayo or getting together with friends, celebrate with this Spicy Beer Queso recipe. With spicy chorizo, creamy cheese and Modelo Especial, this... 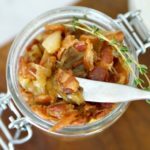 THIS it the appetizer you'll want to be serving all summer long! 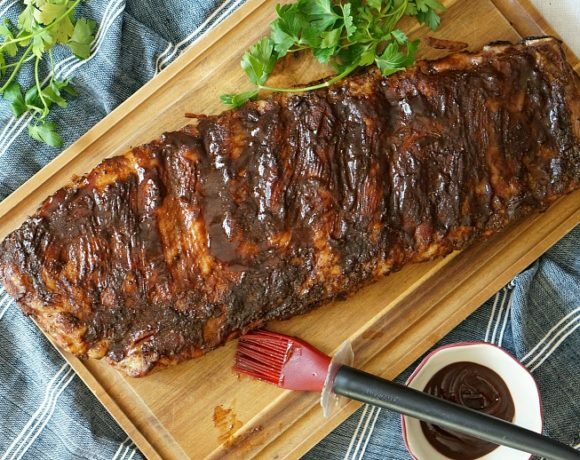 Wipe out the skillet with a paper towel, and drizzle in a touch of olive oil. 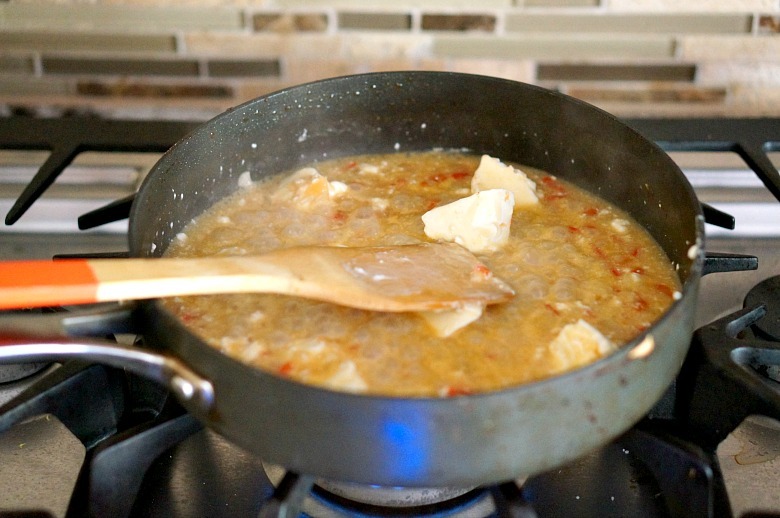 Cook the pepper, shallot and garlic over medium heat 'til softened, about 4-5 minutes. Pour one can of Modelo Especial in to the pepper mixture. 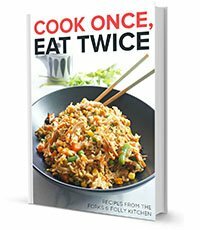 Bring to a simmer and cook for 6-8 minutes, until reduced slightly. Whisk cornstarch with 2 tablespoons of water and pour into the skillet. Cook until thickened slightly. 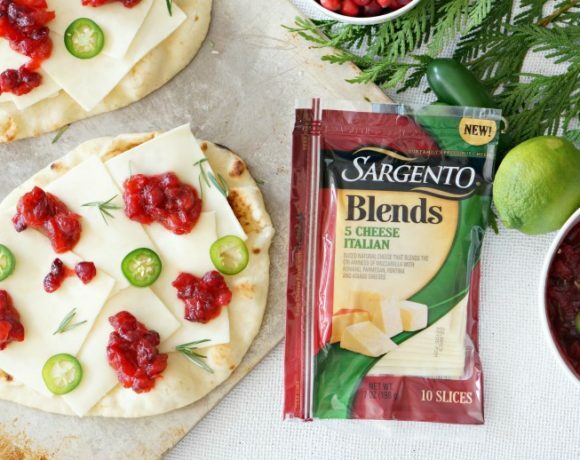 Keep warm and serve, garnished with chives. This also reheats well in the microwave.